Eating and drinking well belong to Argentina like the horse to the gaucho. 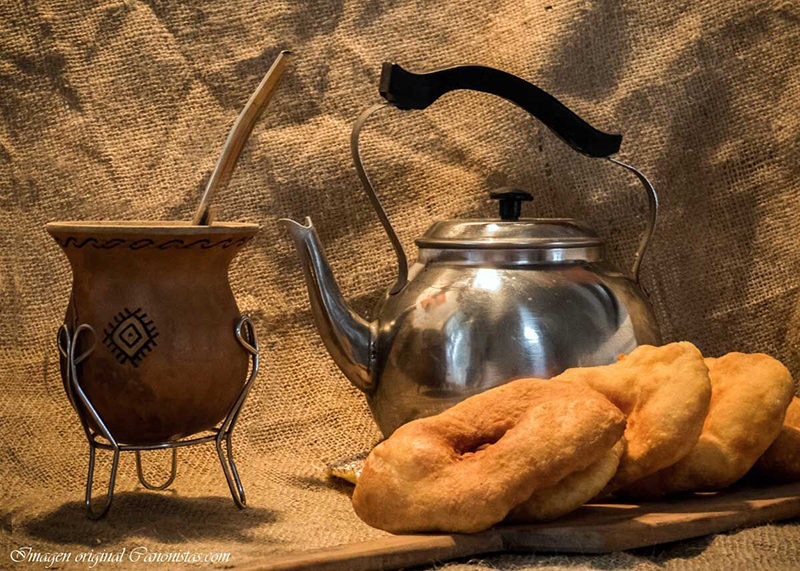 Mate – the national drink, is a hot tea made of the leaves of the Mate shrub, that you should definitely try. Also worth trying are the biscuits called Alfajor, filled dumplings called Empanadas or Dulce de Leche – a sweet delicious caramel spread. 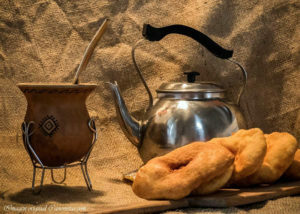 Also typical for the Argentinian cuisine are the Tortas fritas – deep-fried pastry, hearty stews as well as the Picada, a selection of finger foods. 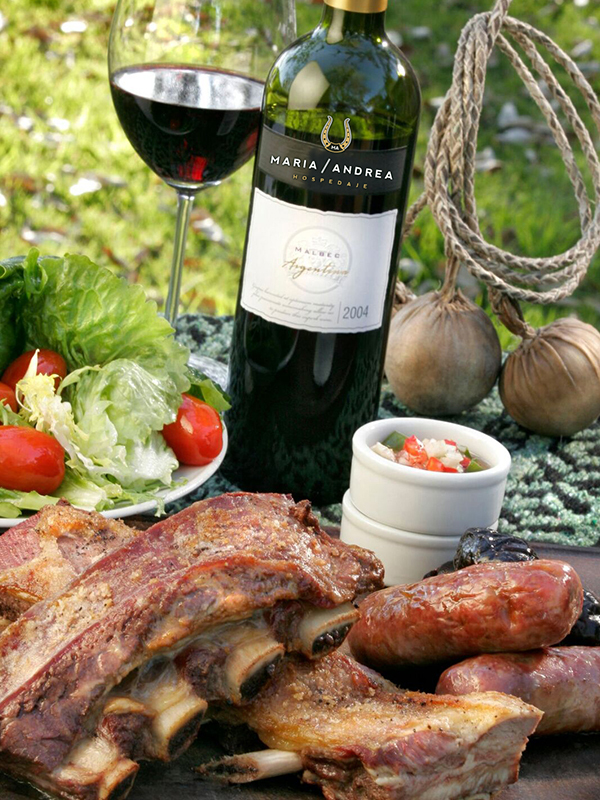 Argentina is famous worldwide for its barbecues called Asado ,normally enjoyed by a big group of people and accompanied by plentiful local wine. 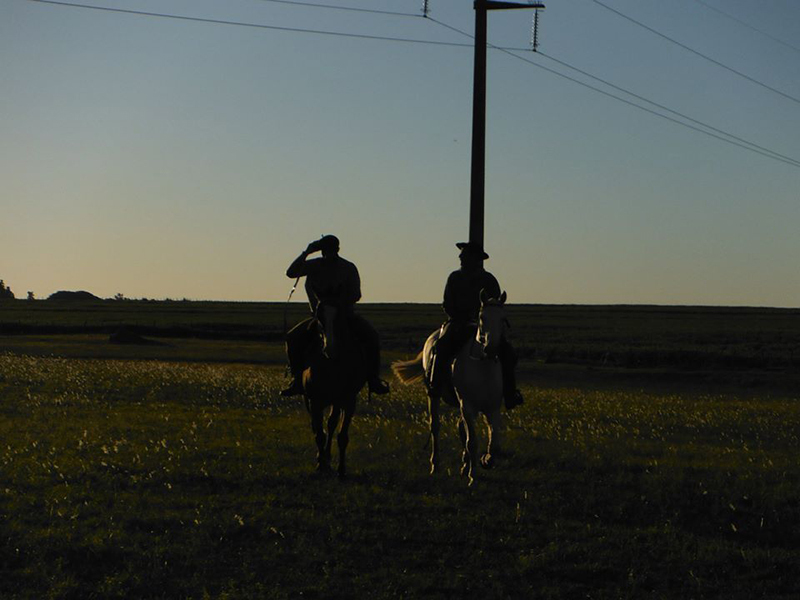 In the Northeast of Argentina we still live a bit like in the Wild West. 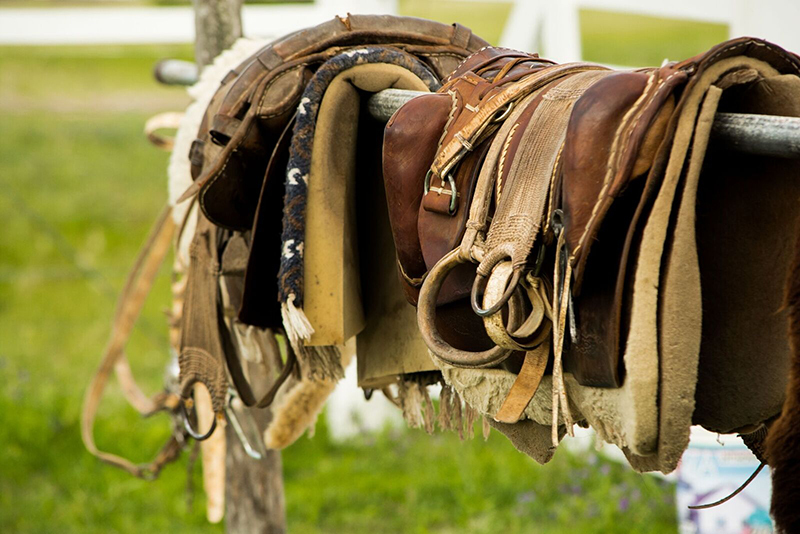 Since our ranch is a working cattle and horse farm gauchos belong to our everyday life like Argentinian folk music and horse rodeos. If you are lucky, you will get a chance to watch one of the festive horse parades with their magnificently decorated horses and riders. 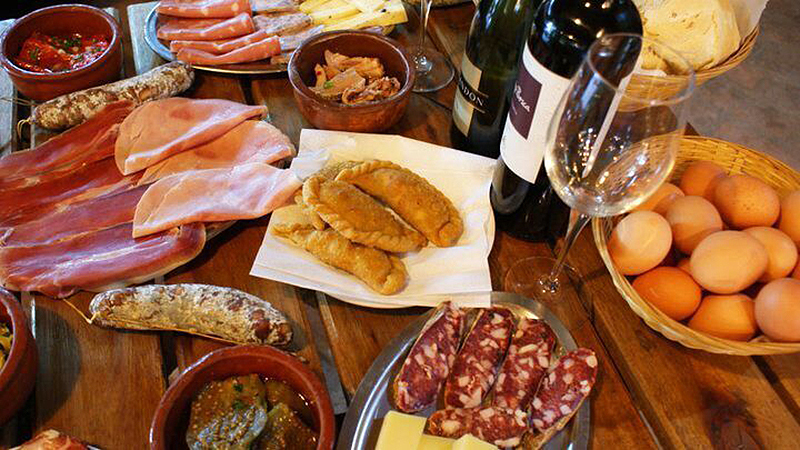 Spread over the whole year in the towns around the ranch there are traditional fiestas and rodeos. A list can be found under the link Recreational Activities.